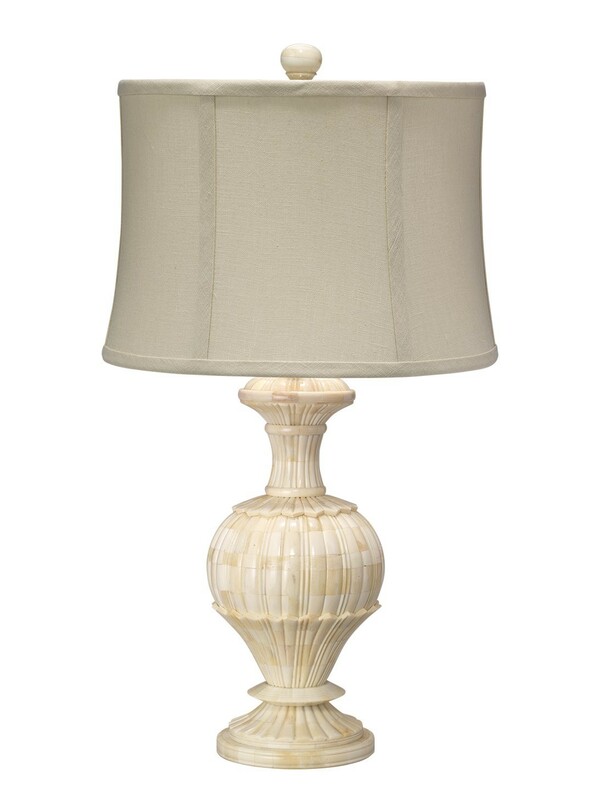 This bone carved lamp is the epitome of refined coastal design. 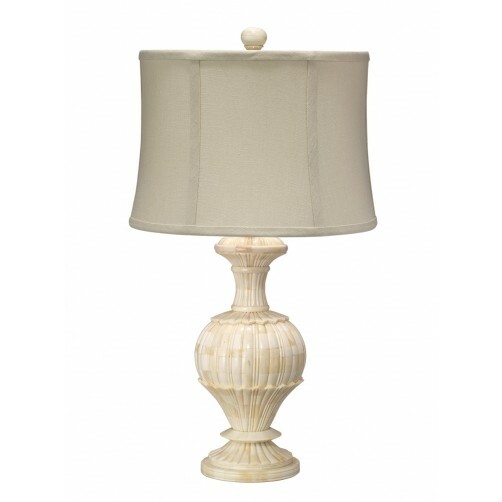 Complement any traditional-styled space with this small white bone table lamp. Constructed in wood with ornate details inspired by a classic urn design. Topped with a natural linen hourglass shade.